Stuck for what to buy for Christmas? Here some recommendations. As you know I love to write and read and I’ve been quite busy reading and reviewing of recent. Apart from sharing in the usual places, I also do reviews and share now in Literary World Interviews. And I realised I had not shared those here. So, as Christmas is coming, well, see what I’ve been reading and you might find something for a loved one (and of course, loving thyself is a great policy!). Seumas Gallacher is a writer with a large on-line following. 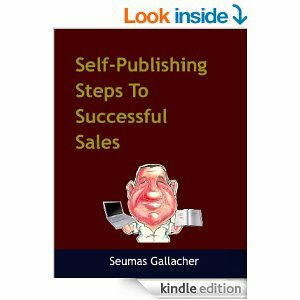 In this book, Mr. Gallacher shares his experiences of self-publishing. From his discovery that this was indeed a possibility, to now having thousands of books sold to his name. This is not a detailed manual on how to format your book, or how to create you cover. There are plenty of posts, books, etc, that share that type of information. This book offers general advice on the topic, and it is concise and to the point. Moreover, it emphasises the author’s personal experience, that is, of course not fully replicable by anybody else. If you have not read Mr Gallacher’s posts in the various social media, you don’t know how personal his style is. His advice is sound and has to be adapted and transformed by every author. One of the points Mr Gallacher emphasises is the business aspect of writing. Although you might see it as an expression of your inner being or as a need to inform people of something, or as a deep felt vocation, if you plan on making a living out of writing, or trying to, you must approach it professionally as a business, the same you would any other. Of course, your reasons for writing could be others than to make money out of it. In that case you would be well advised to create your own definition of success and not worry too much about rankings or sales, although this book would still provide a useful general guide. Personally, I found the book clear, easy to follow and a quick read. Mr Seumas’s personal style shines through. I particularly enjoyed the non-internet part of his experience that demonstrates the importance of making connections, knowing the area you work in, and not being shy. Try it. If they say no, you’re no further back that when you started, but if they say yes…the sky could be the limit. I recommend this book to new authors and also to those who have a number of publications to their name. You might be reassured you’re doing the right things, you might wonder about a change of strategy, and you will enjoy the style of writing and discover plenty about the business. And also a few things about this great and generous author. 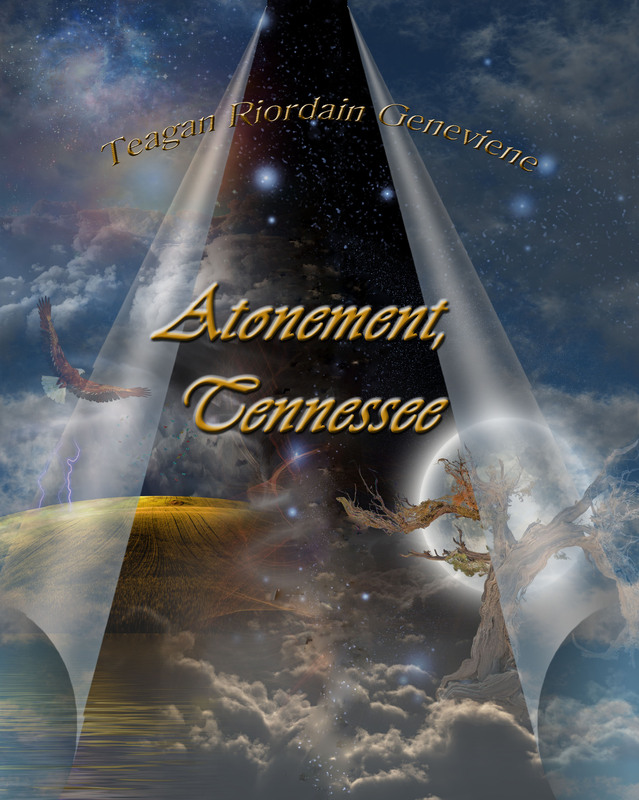 Atonement, Tennessee by Teagan Geneviene. Do you know who you really are? In Atonement. Tennessee a few residents don’t and they make some interesting discoveries throughout the novel. Although something mysterious happens early in the book (that seems connected to one of the objects), this is by no means the main mystery. Why Ralda is there and who she is are at the heart of the book and by the end we might have our suspicions, but like the protagonist, we lack information to come to any conclusions. We have the answer to some of our questions, but can only speculate about others. But this leaves room for a sequel and I hope the author will be working on it as you read this. 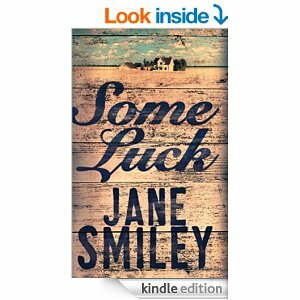 Some Luck by Jane Smiley. A novel about the things that really make life what it is. There is something very attractive about settling down to read the story of a family and getting to know them for a lengthy period of time, as if they were family friends. In the case of Last Hundred Years Trilogy, of which Some Luck is the first novel, a hundred years, no less. In an era when people don’t seem to have time for anything and everything must be shorter and faster today than it was yesterday, the promise of space and time to see characters and situations develop feels like a welcome luxury. Jane Smiley’s new novel that starts with the kernel of a young family living in an Iowan farm, has been described as an epic and it is, not only for its large cast of characters (no big figures, no huge names, just people like you and me), but for its breadth, spread and ambition. Some Luck follows several generations of the same family (and they keep coming) through their lives and that of their country and the world. The novel is marvellously democratic, with no hierarchy of voices or experiences, and the same space is given to a toddler trying to understand the world around him and the functioning of his own body than to somebody drawing their last breath. Readers get to know the many characters from inside, in a non-judgemental way, as you accompany them through their lives in their own heads, and you might like them and agree with them more or less, but you come to accept them as they are. The book reminded me of a recent and wonderful movie Boyhood although the novel’s reach is greater but the feeling of peace and reflexivity you experience is similar. The author’s ability to use brief but descriptive language, and combine it with extremely subjective, stream-of-consciousness passages, and quasi poetic everyday wisdom (and philosophy) creates a beautifully textured patchwork of a novel. If maybe the dimensions of the canvas are smaller, this could be the War and Peace of this generation. This is a novel that moves at a sedate and calm pace, made of little moments and small steps; in summary, a novel about the things that really make life what it is. Extraordinary in its everydayness. I hope to meet the family (that has become mine as well) again very soon. Dead Drop. A P.I. and Philosopher at home in L.A. When I read the description of this novel in Net Galley (I obtained a free copy there) the premise sounded interesting. I enjoy mystery, suspense and crime thrillers. For me, the best are a combination of a gripping story and unforgettable characters. With regards to the story, it could be a fascinating and well described setting, or it might take place at an interesting historical moment, or in a peculiar background… And the characters…Real human beings with quirks, conflicts, lives, and voices. A P.I. who gets a job checking a possible case of embezzlement in a huge corporation (that as you can imagine quickly become far more complicated than that) and who also teaches Philosophy sounded promising on both counts. 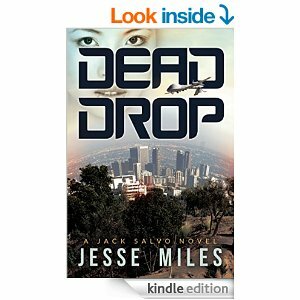 Apart from all that, Dead Drop (the meaning of the name is explained in the novel) has elements also of the spy thriller. Jack Salvo, the detective, is in quite a few ways, your typical P.I. The novel is written in the first person and therefore we don’t get much on the way of other people’s point of view as to how Jack comes across to others. He seems popular with the women (although in some cases it is unclear if that might not be due to the attempts of the female characters at getting inside information from him), he knows about everything, he is well conversant with L.A. (I’ve never been there but to my untrained eye, the details seemed convincing), he is self-assured…and he teaches Philosophy and seems to enjoy it. But other than that little detail about him (and a very late brief discussion about his life with one of the female characters who becomes his love interest, Lily) I didn’t get the sense that I learned very much about the character or that he was much more than a collection of all his characteristics (that were neither offensive not particularly endearing, other than his interest in his teaching). The plot is well developed and combines research, intrigue, action and mystery. Nobody is who they seem to be, and the story takes Jack from the corporate world, through veterans of the French foreign legion (and Philosophy experts to boot), bit actresses, luxury car garages, good old fashioned surveillance, breaking and entering, Swiss bank accounts, murder and bluff and double bluff. The style of writing is clean, direct, easy to read, and fast-paced and fits in with the story. In summary I enjoyed the book but thought it could gain by developing the main character a bit more. Some of his reactions towards the end of the novel and his love story seem a bit sudden and not completely in keeping with the persona developed throughout the rest. As this is the first of a series of novels it might well be that the background will come more into play in later novels and it might allow the character to grow and become more multidimensional. A solid story, a good and interesting read, just a notch below the unmissable category. I hope you find something you, or someone you know, might fancy, but don’t worry, I have more to come. Also do check my previous recommendations, new books, and I’ll be reminding you of other suggestions on Fridays posts coming up to Christmas. 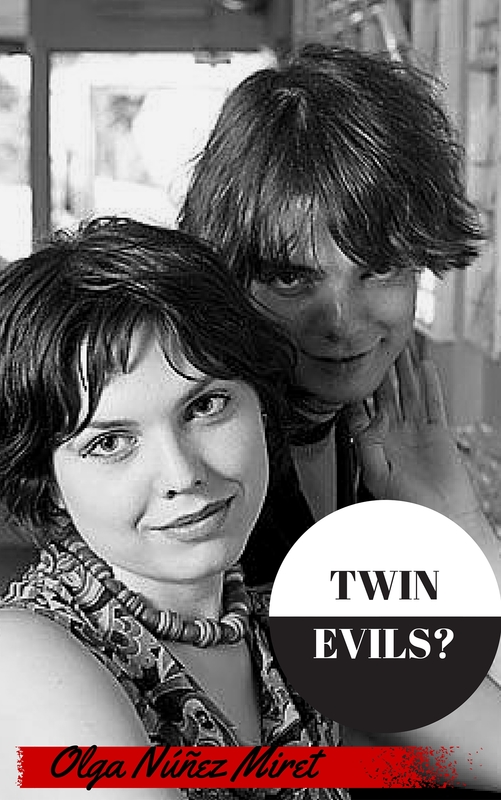 Ah, and is that time of the year when we fancy something a bit new, so I decided to change the cover of my YA/NA novella ‘Twin Evils?‘ the story of two twins and their friend where things might not be exactly as they seem. And to celebrate the new cover it’s only $0.99. Thanks to all the writers featured for their books, thanks to you all for reading, and you know, like, share, comment and of course CLICK! Olga, what a beautiful surprise! Thank you so very much for mentioning my novel “Atonement, Tennessee” — I’m honored to be included in such fine company. I look forward to all the other books. They sound great! Thanks Teagan. I wanted to do some posts with recommendations for Christmas and realised I hadn’t shared some of my reviews here, and what better recommendation? I think everybody should treat himself or herself to a good book for Christmas, or several, and yours definitely fits the ticket! Thanks Natasha. I know reviews are very personal, and sometimes I’ve read negative reviews that have made me want to buy a book, precisely because I thought I’d like what the other person didn’t. I hope you enjoy the read! And happy holiday season to you! Thanks so much Seumas! Always a pleasure. Good reviews. These books all sounded very interesting.. Thanks Suzanne. Yes. I’ve come across a good selection this year. And of course I have very talented fellow author friends. Thanks for sharing… Great choices for Christmas holiday reading… FELIZ NAVIDAD! Thanks Billy Ray! Feliz Navidad and Bon Nadal!